After desperately craving autumn for several torturous weeks now, we are finally beginning to experience our brief little fall moments here in the desert. It is still much too warm for cozy sweaters and comfy boots with midday temperatures still hanging out in the eighties. But when the sun goes down, that cool air creeps in and beckons you out to the back porch to sit awhile, breathe it in and savor a little autumn moment. Savor, isn’t that a great word? To give oneself to the enjoyment of; to perceive by taste or smell, especially with relish. It is the perfect word for this season, these few transient moments of fall. I shall give myself to the enjoyment of it, relish the flavor of it while it lasts and I will start with my favorite savory sauce. This is the perfect time of year to savor a beautiful meal on the patio as the air begins to cool and the day begins to glow in that hour just before sunset. You have to be prepared, though. If you dilly-dally, fiddling around with fancy dinner plans, you’ll miss the moment. The days are growing shorter and that golden outdoor dinner hour is quickly fleeting. These are the days it is nice to have a delicious meal on stand-by, something you can quickly prepare and enjoy outdoors as you relax and relish that seasonal moment. Something simple, something saucy, something savory. This Savory Tofu Sauce might be just the thing for such occasions. It is a cinch to prepare, requires only a handful of ingredients and is versatile enough to go along with just about anything you might have left in the fridge or cupboard. It is gluten-free, dairy-free, nut-free and vegan, so it is friendly to many restricted diets (though made with a base of tofu, it is not soy-free). It makes a great meatless meal, but also pairs nicely with some grilled chicken or ground beef to satisfy the carnivores in your life. This sauce is a longtime household favorite around here. Before we moved to this small desert town, my hubby and I survived several years stuck in the hectic hustle of busy beach city life. That life was crowded, smoggy, noisy and far too busy to enjoy. However, one thing we do miss about city life, is having easy access to healthy food resources. Just a couple blocks from the strand, we lived right next to this little vegetarian restaurant in Hermosa Beach called The Spot. They served the best burritos, stuffed with all sorts of veggies and smothered in this delicious savory sauce. Dinners at The Spot were always comforting and so full of flavor. That place was our saving-grace for healthy meals on busy weeknights! Well, a few years ago I stumbled across a recipe for their creamy savory tofu sauce on the internet. 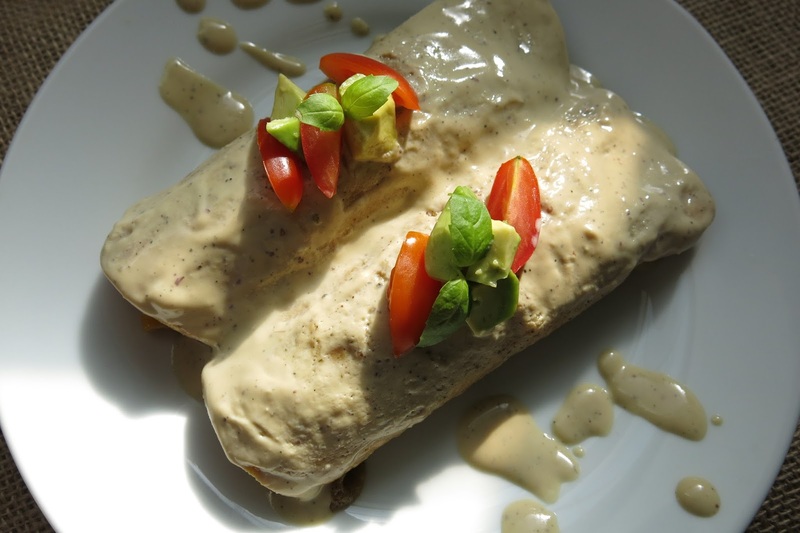 I don’t know how true is it to their original recipe, but I was thrilled to be able to re-create my favorite smothered veggie burritos at home and have since found multiple ways to savor this flavorful sauce. These days I like to prepare my favorite smothered burritos in enchilada form. This gluten-free version is made with organic corn tortillas instead of flour. 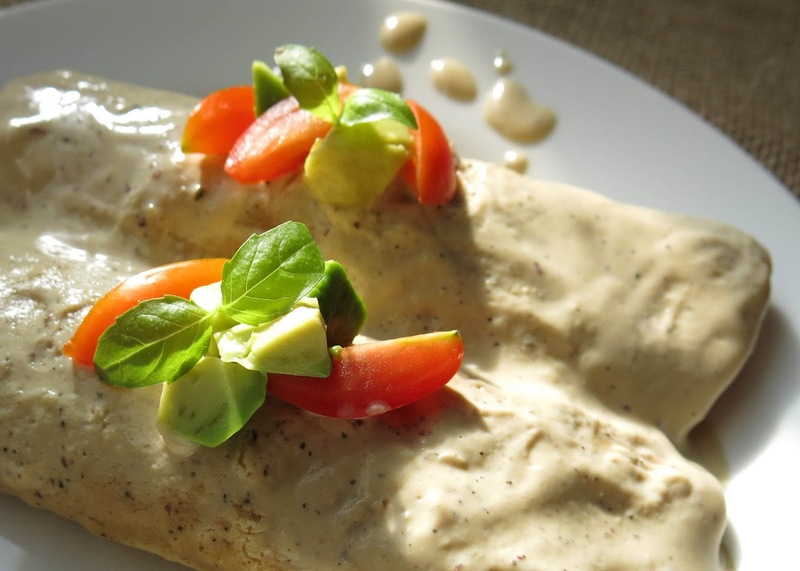 To make these Savory Vegetable Enchiladas, simply whip up a batch of this tofu sauce and set it aside while you sautee some of your favorite vegetables and simmer a pot of brown rice or quinoa. My enchiladas are a little different each time I make them, as I tend to use whatever grains and produce I have on hand. 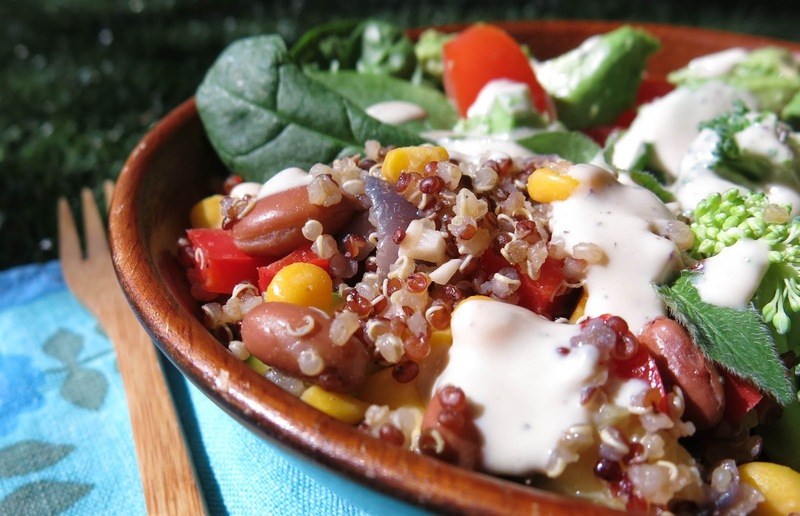 My preferred filling includes quinoa, onions, carrots, zucchini, red bell pepper, corn and pinto beans. Stuff your tortillas, smother them in sauce and bake them until heated through. When they’re done, I like to top mine with a little extra sauce for serving. For the two of us, a batch of this sauce will make a couple different dinners with a little leftover for lunch. 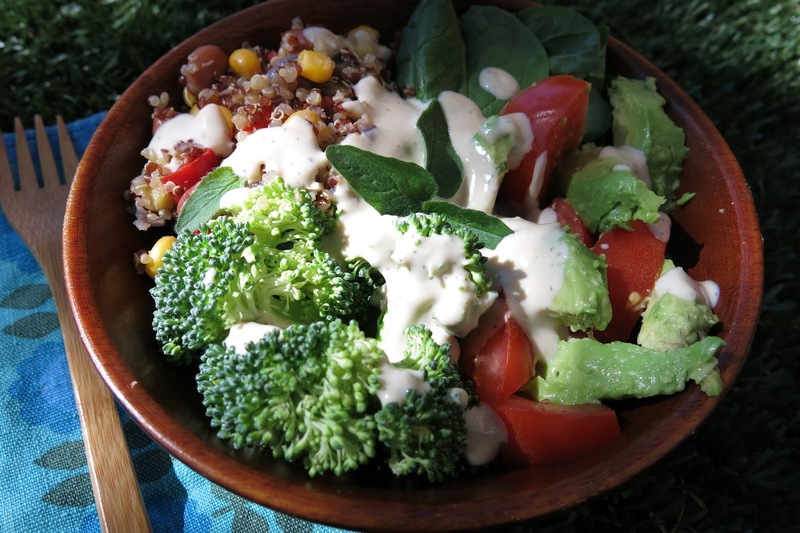 With the extra enchilada filling, some fresh greens and veggies, topped with a little sauce you can create a satisfying and very healthy burrito bowl for that sneak-away workday picnic. 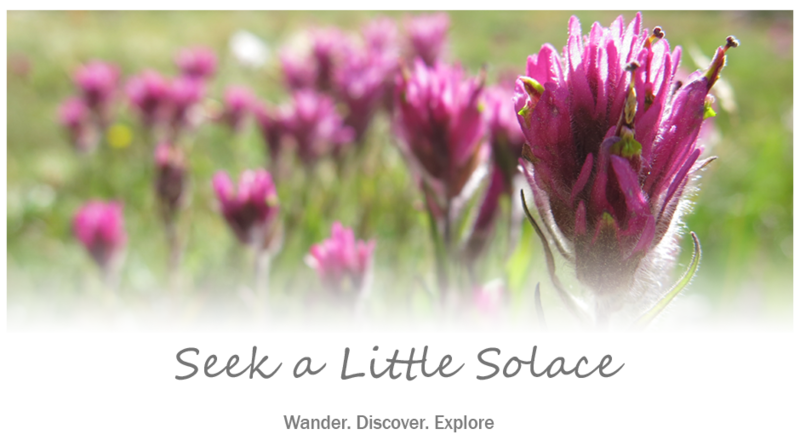 You may need to seek yourself a bit of shade if summer’s still holding fast, but don’t let that stop you from creating yourself that midday moment to savor and enjoy. There is something about this sauce that lends itself well to comfort foods. You know, like that guilt-ridden pasta with creamy alfredo sauce, macaroni and cheese and that broccoli side dish swimming in cheesy sauce. 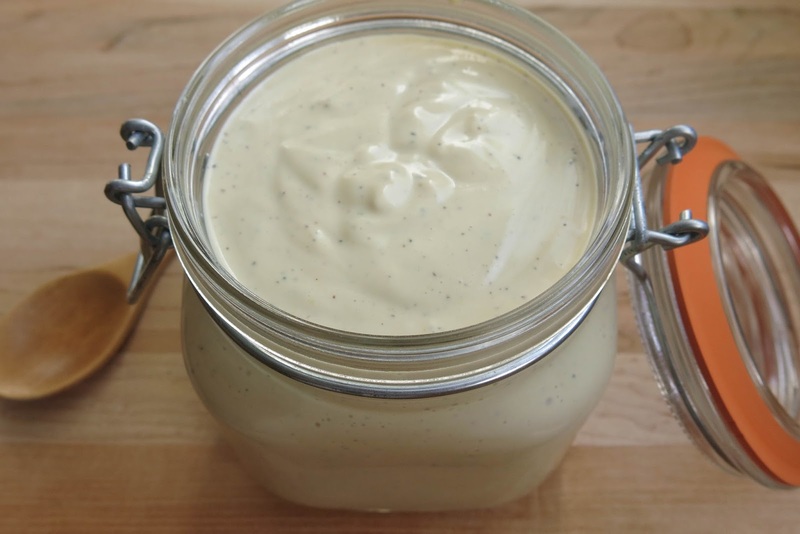 Substitute this Savory Tofu Sauce for your cheesy-cream sauce and savor your favorite comfort foods with guiltless pleasure. 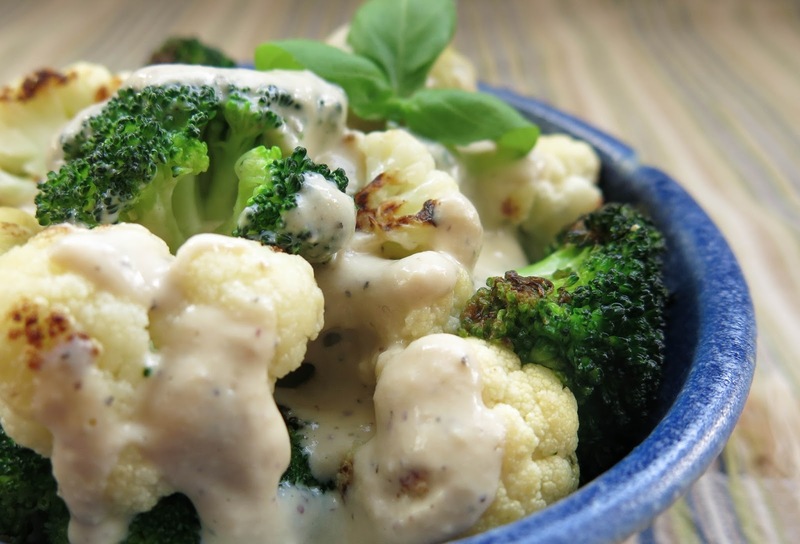 Saucy Roasted broccoli and cauliflower make a delicious side-dish. 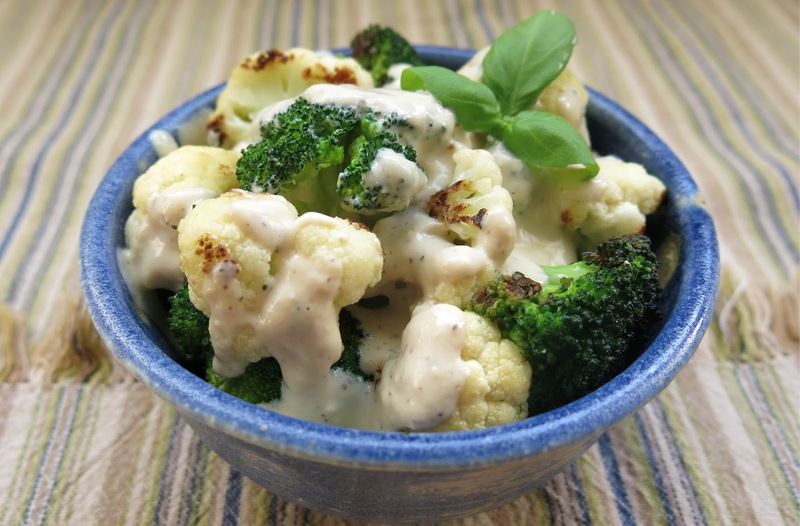 Heck, a big bowl of creamy, roasted cruciferous vegetables makes for a perfectly satisfying meal all on its own! And then there is pasta. Pasta is always a simple dinner solution on those nights when you want something on the table fast. 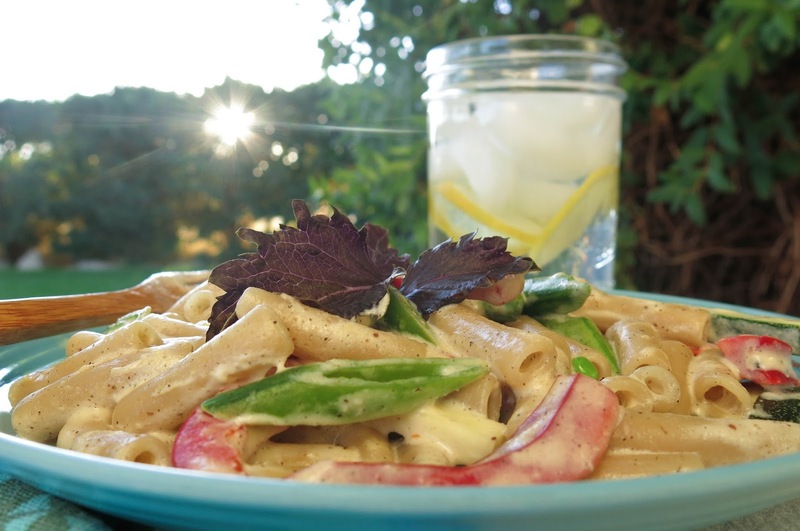 This Savory Tofu Sauce makes the perfect creamy alfredo alternative for both vegans and non-vegans alike. 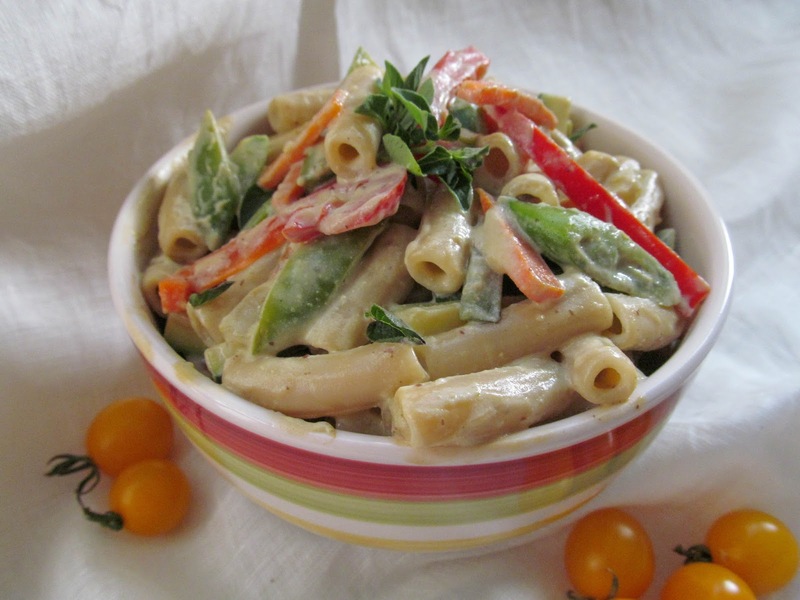 Simply warm up some sauce, boil a pot of gluten-free penne, julienne a few fresh vegetables, chiffonnade some fresh basil and you have yourself a bowl of Savory Tofu Pasta Primavera in no time flat. Healthy comfort food at it’s best. Don’t let these beautiful fleeting moments of fall pass you by. Prepare yourself to follow the beckoning call of that cool autumn air, retreat to the patio, sit a while, breathe it in and savor the moment. Give yourself to the enjoyment, relish the flavor, savor the moment.